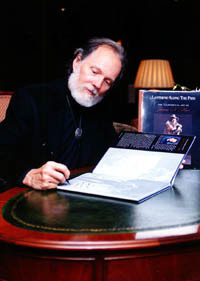 J. N. Muir Studios is proud to announce the completion of James' long awaited book: "Lanterns Along The Path", August 2004. This book was created as a way to reflect how an individual's talent can provide a pathway to contribute to society, to express how deep spiritual convictions coupled with courage can effect change, and to remind us of where we have been and look to where we are going. Far from being simply an "Art" book, "Lanterns Along the Path" is actually a guide book for fellow Travelers on our individual and collective journey through life. An inspiration for the never-ending quest for Truth, it is dedicated to "all who have passed this way before and left their own lanterns for us... . Available in "Standard Edition", in a "Deluxe Edition" limited to only 50, and a "Special Edition" limited to only 200. 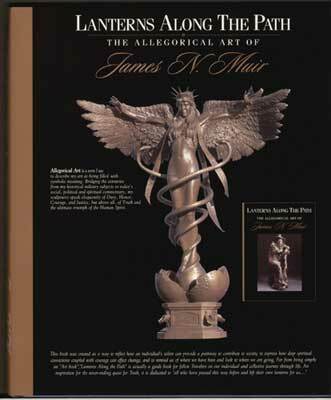 This beautiful 10" x 12" large format book will contain over 100 pages showing all of James' magnificent sculptures to date along with the historical details, allegorical symbolism's, and personal philosophies unique to his work. Of course, no collector's edition of a book from James would be complete without a Muir Sculpture! Please don't let this exciting opportunity to own a piece of James N. Muir's history pass you by. From all of us at the J.N. Muir Studios, we thank you for your support and commitment to James and his work. Allegorical Art is a term I use to describe my art as being filled with symbolic meaning. Bridging the centuries from my historical military subjects to today's social, political and spiritual commentary, my sculptures speak eloquently of Duty, Honor, Courage, and Justice, but above all, of Truth and the ultimate triumph of the Human Spirit. Lanterns Along the Path by James Muir has just reviewed (May 2, 2005) by "Bookwire"
In this exquisite book America's master sculptor showcases his aesthetically appealing and superbly crafted bronze works, while complementing them by an insightful commentary on the sculptures' historical background, allegorical symbolism, and his personal philosophical and spiritual ideas. Muir states that "Far from being an 'Art book,' 'Lanterns Along the Path' is actually a guide book for fellow Travelers on our individual and collective journey through life. An inspiration for the never-ending quest for Truth, it is dedicated to 'all who have passed this way before and left their own lanterns for us....'" Renowned for his Civil War and American Frontier cavalry themes, Muir's creativity finds expression in historical as well as contemporary subjects. Incorporating three levels in the work - artistic, literal and allegorical, his sculptures range from less than a foot to life-size and monumental. 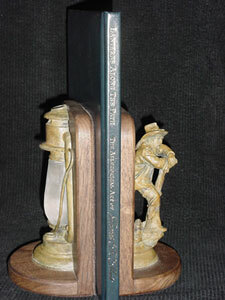 While the 'Southern Steel II,' portraying the slashing fury of a Confederate saber charge, is 11" tall, 'Caduceus,' - the Angel of Healing - is 12' high, with a wingspan of 9'. The pain of separation from a loved one during war is amply depicted by the poignant bronzes and accompanying observations of 'The Last Embrace' and the soldier waiting for 'The Letter From Home.' 'The Rose' is a haunting portrait of a woman clutching a rose to her heart - the Universal Lover debating "whether to keep Love's Rose within her heart or let it bloom for all mankind." Drawing on the biblical story of David and Goliath, 'The Newsboy,' carrying a newspaper with the headline of 'truth,' proclaims how truth can be used to fight against falsehood. Muir is absolutely justified in expressing that his "sculptures speak eloquently of Duty, Honor, Courage, and Justice, but above all, of Truth and the ultimate triumph of the Human Spirit". Muir's masterpieces can be found in various art galleries and institutions across America, as well as in private collections. This artistically wrought and creatively conceptualized book has recently been selected for the '2005 Pinnacle Book Achievement Award' in the 'Inspiration Category,' and deservedly so. 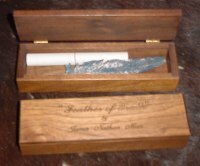 It is truly a collector's piece. "Lanterns Along The Path" is a very special, unique book, unlike any other that I have seen in my 25 years in the publishing business. It combines James Muir's beautiful sculptures with words of beauty, encouragement and hope. The book is a treasure for both the heart and soul." April, 2005 >Bronze sculptures depicting historical military figures and scenes by James N. Muir are filled with symbolism--social, political, and spiritual comments on courage, duty, justice, and truth. The new book Lanterns Along the Path presents a collection of Muir's work along with his analyisi of each piece. The artist, whose oeuvre also includes contemporary subjects, describes the publication as a "gudeibook for fellow travelers on our individual and collective journeys through life." The North American Bookdealers Exchange recently recognized the book wiht as Pinnacle Book Achievement Award in the Inspirational category. 111 pages, approximately 80 color illustrations, $50.00 hardbound (ISBN 1-889741-62-0), deluxe and special editions also avaialbe. 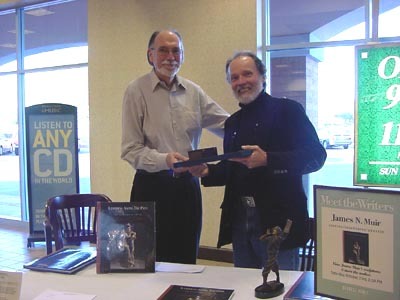 Sculptor's new book documents "human journey"After creating numerous large bronzes, sculptor James N. Muir finally found the time to write a book. "It took me the better part of seven years to write "Lanterns Along the Path," Muir states from his studio in Greer. "Essentially every piece I've sculpted is in there, and the book is really about the work, not about me. "All of my work is an allegory about the human journey, both individually and collectively, along the path of light, which is where the book's title comes from." Muir's pieces can be found all over the Valley. His 12-foot "Caduceus" stands at Scottsdale Healthcare hospitals (both the Osborn and Shea locations); his 12-foot "They Served Well," dedicated to police officers who sacrificed their lives in the line of duty, is at the Maricopa Sheriff's Office in downtown Phoenix; and his smaller work, "The Newsboy," is on Main Street in downtown Mesa. "If you look closely, you'll see that "The Newsboy" isn't just some cute little kid, and that his newspaper isn't generic, Muir says. "The piece is a contemporary rendition of the battle between David and Goliath, with the newsboy representing David, who is Truth, and his Goliath being Falsehood. "The headline on the newsboy's newspaper reads "Truth." Falsehood can take myriad shapes and forms, like a big lake you think is impossible to overcome. But a tiny pebble of Truth, you cast it into the lake and immediately the entire lake is covered with ripples of Truth." Muir has always been frank about the religious and ethical underpinnings of his work, so his philosophy is as much a part of "Lanterns Along the Path" as is his sculpture. "My sculptures are all about my travels along the path to God," he says. "Much as society and the world tries to separate the earthly world from any spiritual context, it's impossible to do. "You cannot separate God from anything. He's the creative force of life, especially for those of us who are involved in creative endeavors. "Creativity is a gift from God, what we do with that gift is our gift back to God." I would like to share my reaction to, and impact Lanterns Along The Path has had on me... .
First, I was overwhelmed by the creativity, beauty, passion and spirituality displayed in the photographs of James' work. As an art book it captures the essence of the artist and his art; as symbolism it reaches us with very basic truths; and as personal story and history it provides a light to the love, hope and promise in all of us. This is a book equal to the beauty of its art. "Dust Cover of "Lanterns Along the Path"
the "2005 Pinnacle Book Achievement Award"
SCULPTOR’S NEW BOOK CHOSEN FOR "2004 PINNACLE BOOK ACHIEVEMENT AWARD"
Artist/author, James N. Muir was recently chosen for the 2005 Pinnacle Book Achievement Award for his book "Lanterns Along The Path:The Allegorical Art of James N. Muir". This award was given in the Inspirational Category which is even more important to Muir. He states: This book was created as a way to reflect how an individual’s talent can provide a pathway to contribute to society, to express how deep spiritual convictions coupled with courage can effect change, and to remind us of where we have been and look to where we are going. Far from being simply an "Art Book", "Lanterns Along The Path" is actually a guide book for fellow Travelers on our individual and collective journey through life. An inspiration for the never-ending quest for Truth, it is dedicated to "all who have passed this way before and left their lanterns for us"... James N. Muir has built upon his fame as one of America’s foremost historical/military sculptors to create an ever-expanding array of artistic commentary on the human condition. His sculptures range from historical to contemporary subjects, tablesize to monumental. Muir’s work is in the collections of major universities, museums, corporate, and private collections around the country. Many of these sculptures are featured in his newly released book that was a seven year project in between creating public art that will hopefully impact society….leaving a light "his lantern" for others. 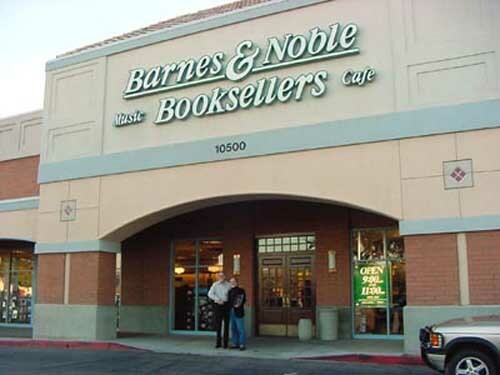 Muir feels very fortunate that Barnes & Noble were also impressed with the book and now offer it nationally because of its ability to touch on so many levels in society: philosophically, spiritually, historically, and of course artistically. 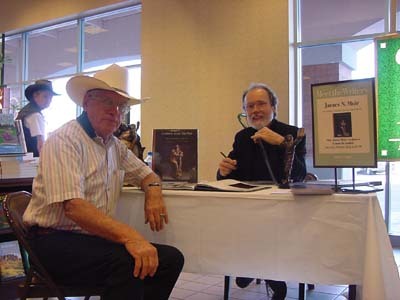 Book signings are scheduled at various gallery and book store locations in the United States, contact 928/735-7350 for information.